Minnesota Railroads And Railfanning In "The North Star State"
Minnesota has historically been known as the gateway to Chicago and the Pacific Northwest for railroads such as the Northern Pacific Railway, Great Northern Railway, and Milwaukee Road as all three's main lines operated through the state. That aside, however, the North Star State is also known for its vast amounts of iron ore to the north and agriculture to the south (such as corn and grain). 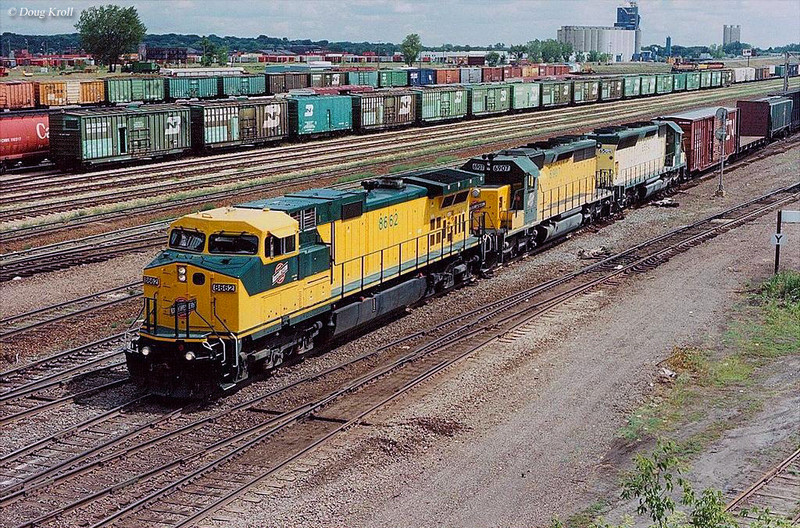 Due to its wide variety of available freight traffic Minnesota boasted a large and diverse number of now-classic railroads looking to tap these resources. 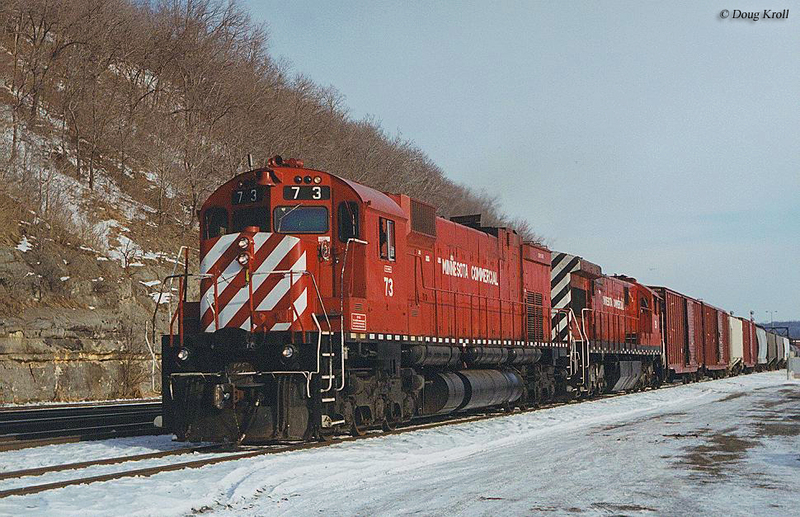 Today, the Minnesota is still home to four Class Is, two regionals (Class IIs), and several shortline railroads. Please note that for your convenience, throughout this article there will be links provided to other pages here at the website (unless otherwise noted) discussing topics related to Minnesota. 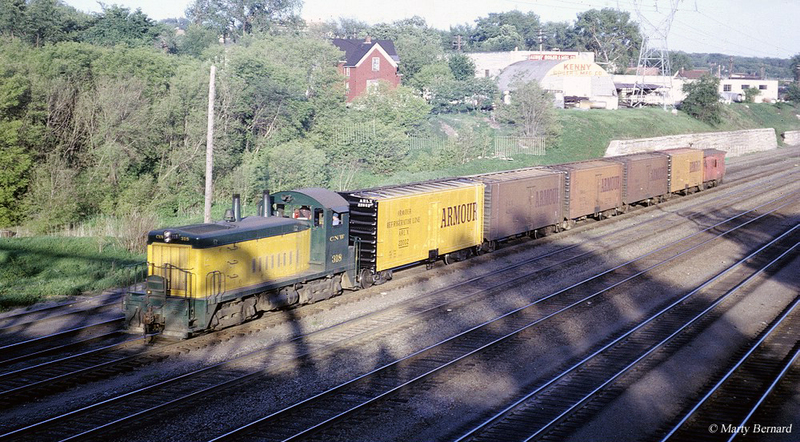 Minnesota railroads date back to the St. Paul & Pacific Railroad, which completed its main line between St. Paul and then-St. Anthony (now Minneapolis) in the summer of 1862, a distance of about 10 miles. The StP&P, however, dated as far back as the Minnesota & Pacific Railroad, created by the state legislature on May 22, 1857 to take advantage of federal land grants being awarded earlier that year. The M&P never actually built any track, although it had surveyed and graded its route prior to being reorganized as the St. Paul & Pacific (mostly due to financial difficulty, it simply ran out of money with the only capital it ever owned being ties). 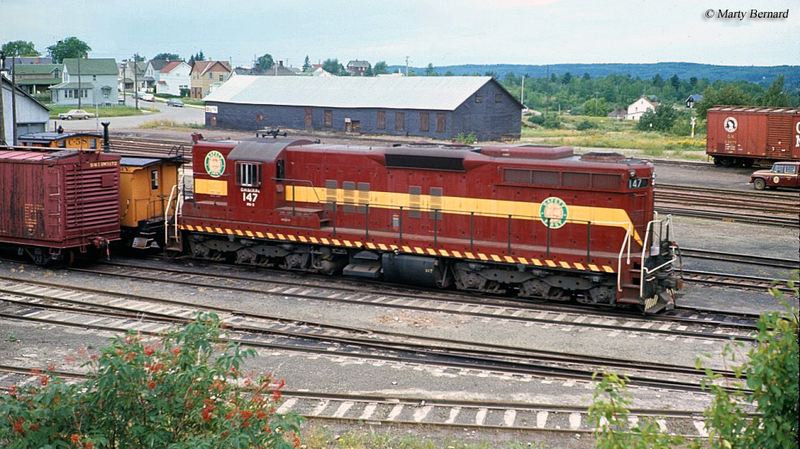 The railroad eventually became part of the James J. Hill's (the "Empire Builder") Great Northern system. Today, Minnesota's network is mostly operated by four Class I systems which include BNSF, Union Pacific, Canadian National and Canadian Pacific. The rest is operated by Class II regionals Northern Plains Railroad, Red River Valley & Western Railroad and several shortlines which include the Cloquet Terminal Railroad; Minnesota Commercial Railway; Minnesota, Dakota & Western Railway; Minnesota Northern Railroad; Minnesota Prairie Line; Minnesota Southern Railway; Northern Lines Railway; Otter Tail Valley Railroad; Progressive Rail, Inc.; St. Croix Valley Railroad; and the Twin Cities & Western Railroad. Today, the state's railroads operate around 4,600 miles of track although during Minnesota's heyday with trains it featured over 9,100 miles. Since the 1920s the state has witnessed a decline of almost exactly 50% of its railroad infrastructure, a number that is comparable to what other states have experienced in that time. Most of Minnesota's important through, main lines remain in place although it has lost much of its secondary and branch lines, notably those serving agricultural interest. 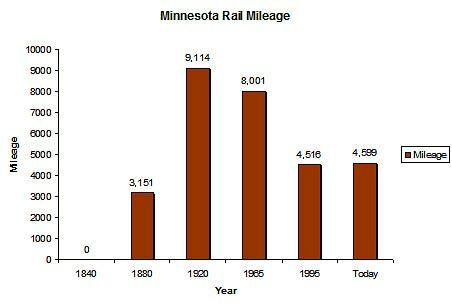 For a more in-depth look at Minnesota railroads, in terms of route mileage over the decades please take a look at the chart below. Even though Minnesota has never seen many famous passenger trains two distinctly stand out, Great Northern's legendary Empire Builder and Northern Pacific's North Coast Limited. While today the Great Northern may no longer operate the legendary Empire Builder it carries on under the Amtrak banner still holding much of the prestige it once did. Today the train makes stops at Winona, Red Wing, St. Paul, St. Cloud, Staples and Detroit Lakes. Also, while Minnesota currently operates a short 12-mile section of light rail between Minneapolis and the Minneapolis-St. Paul International Airport the state has much bigger plans. In 2009 the highly anticipated Northstar Commuter Rail service began operations around the Twin Cities region, and hopes to become a primary means of transportation for commuters to help in reducing congestion. Minnesota is also home to a number of museums and historic railroad equipment, like the famous Milwaukee Road 4-8-4 #261, whose home base is in Minneapolis. For 16 years it was operated by the Friends of the 261 participating in annual excursions until 2009 when it need a major overhaul. After initially being turned back over to then-owner the National Railroad Museum in Green Bay it was sold to the Friends in 2010. The Northern is currently completing its overhaul and should return to full operational status pulling excursion sometime in the near future. Other interesting places and excursion trains in Minnesota include the Como-Harriet Streetcar Line, End-O-Line Railroad Park and Museum, Jackson Street Roundhouse, Kandiyohi County Historical Society Depot, Lake County Historical Society Railroad and Depot Museum, Lake Superior & Mississippi Railroad, Lake Superior Railroad Museum and North Shore Scenic Railroad, Minnehaha Depot, and North Shore Scenic Railroad. 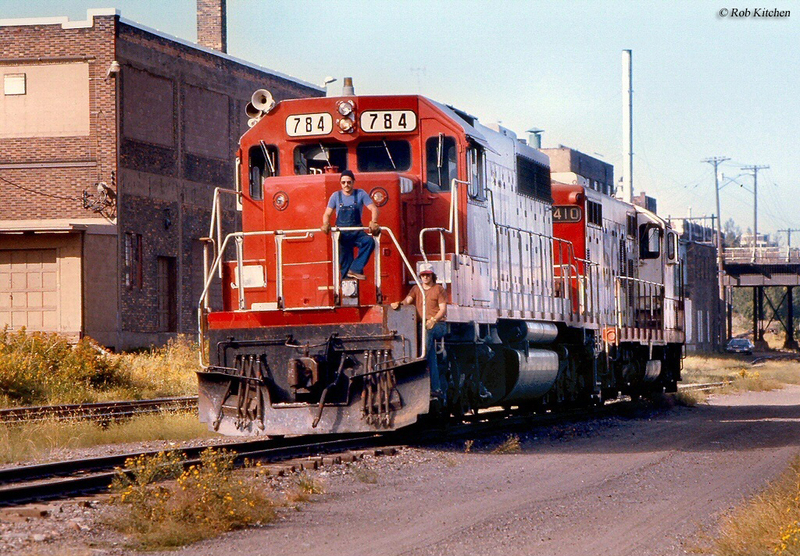 All in all, Minnesota railroads offer an interesting mix of railroading not often found in other parts of the country, such as its unique iron ore operations near the Great Lakes. And, if you tire of watching the ore or main line operations, take a ride on the popular and picturesque North Shore Scenic Railroad! Lastly, please click here to visit MinnesotaRailroads.com, a website covering the state's railroads.